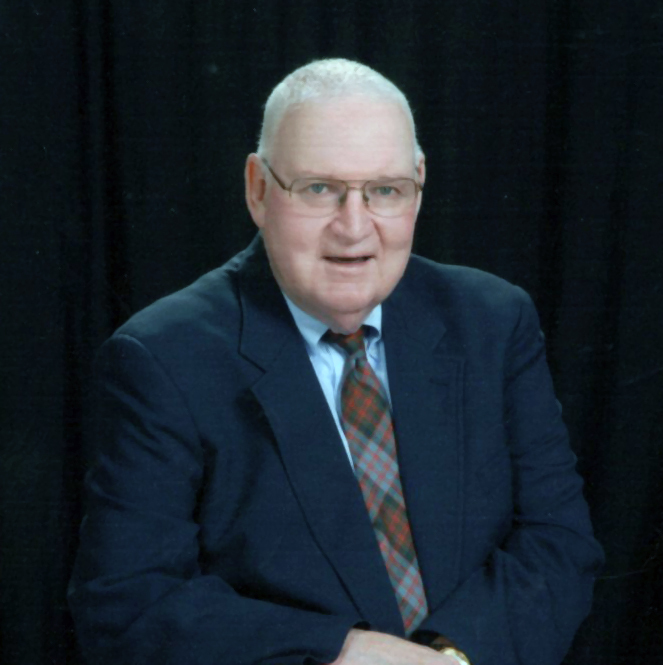 Obituary for Dean Wellington Kelley | Langeland Family Funeral Homes, Inc.
Dean passed away peacefully on Monday, October 29, 2018 at Bronson Commons at the age of 78. He was born July 24, 1940 in Lansing, MI and was the only son of Ward W. and Agnes M. Kelley. Dean is survived by his wife of 56 years, Nancy Martin Kelley, son, Dean W. Kelley, daughter, Dr. Anne Kelley Weigt, half-brother, Matthew Farnum Cole, half-sister, Carrie Cole-Lee, and four grandchildren: John Wellington Kelley, Katherine Marie Kelley, Eric Ward Weigt and Anja Christine Weigt. Dean spent his entire childhood in the same house on Sparrow Avenue in Lansing. He attended Lansing Sexton High School, where he excelled academically and athletically, earning varsity letters in football, basketball and golf. He then attended Michigan State University where he earned a bachelor's degree in accounting and was a proud member of Lambda Chi Fraternity. He met his future wife, Nancy Martin, while at Michigan State and they were married the summer before their senior year. Upon graduation, Dean accepted a job with the accounting firm of Seidman & Seidman (now BDO). He spent most of his working life at BDO - 34 years - which began in Grand Rapids. He then moved to Kalamazoo and then to Saginaw, where he was named managing partner of that office at the age of 31. While in Saginaw, he helped form and take public, a start-up biotech company, Neogen, which is now a $3.25 billion Lansing-based company listed on the NASDAQ. After 14 years in Saginaw, Dean and Nancy moved to Shreveport, LA and Dallas, TX where Dean managed those regions for BDO. Dean enjoyed life to the fullest. He had an infectious and unique laugh that was often imitated and inspired others to laugh as well. His interests included golf, fishing, running, weightlifting and travelling. He and his wife, Nancy, often travelled to beach or island destinations as diverse as South Manitou, Kiawah and Hilton Head Islands as well as Bermuda and Italy. He enjoyed his annual March Madness trip to Las Vegas with his friend, Curt Haan, and their sons and friends. However, Dean is best known for his love of Michigan State football, where he and Nancy hosted tailgates with Doug and Marge Bitson for all home games and was a prominent fixture along the narrow grass strip of the north parking lot. The last game he attended was his 70th straight Michigan vs Michigan State game in 2015, which was won by the Spartans on the last play of the game. Visitation will be held on Monday, November 5th from 5-8pm at Langeland Family Funeral Homes, Memorial Chapel, 622 S. Burdick St., Kalamazoo, 49007. Funeral Services will be held at St. Luke's Episcopal Church, 247 W. Lovell St., Kalamazoo 49007, on Tuesday, November 6th at 10:30 am. Immediately following the ceremony the family will host a lunch at The Park Club, and all are welcome. There will be a private burial in St. John's., MI immediately following the luncheon.